Love Your Rebellion’s mission is to empower marginalized groups through the arts. Events like Love Your Rebellion’s Babefest provide the space for empowerment not only for the performers, but also the audience. Young women, people of color, queer and trans people, and people with disabilities can inspire others to pursue their passions in the arts just by being given the opportunity to do so themselves. In the coming year, Love Your Rebellion has plans to create more arts programming related to our mission for the SWFL community, but we need your help! 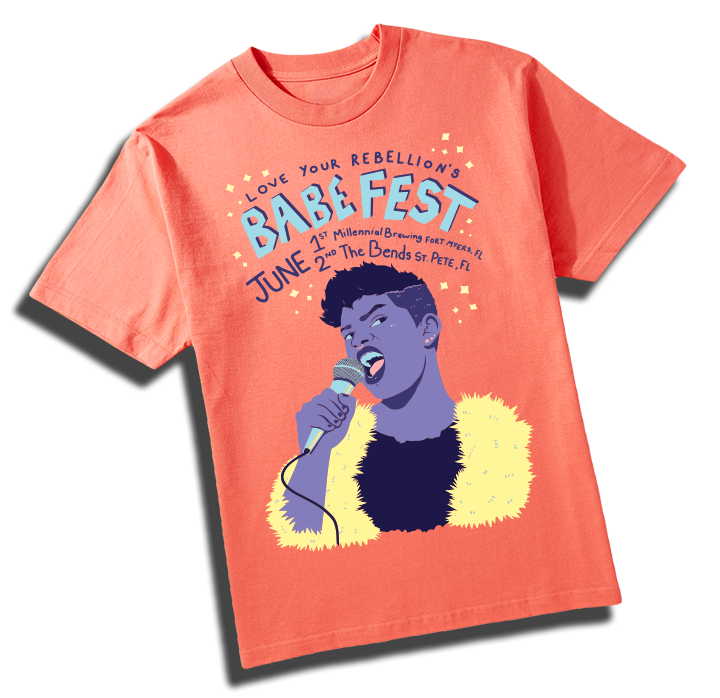 the first 45 donors will receive a shirt from LYR’s Babefest 2018! Sign Up for the LYR Newsletter Today!